Similar to the broad unity forged in the fight to end endo, different labor groups are now raising a common demand for a national minimum wage. The change in wage fixing from regional to national will be facilitated by a Presidential Executive Order directing the Department of Labor and Employment (DOLE) to review and amend RA 6727 or the Wage Rationalization Act of 1989. The Executive Order should direct the DOLE to draft a new wage fixing bill after consultation with labor, employers and other sectors. The bill should then be certified urgent to Congress by the President. 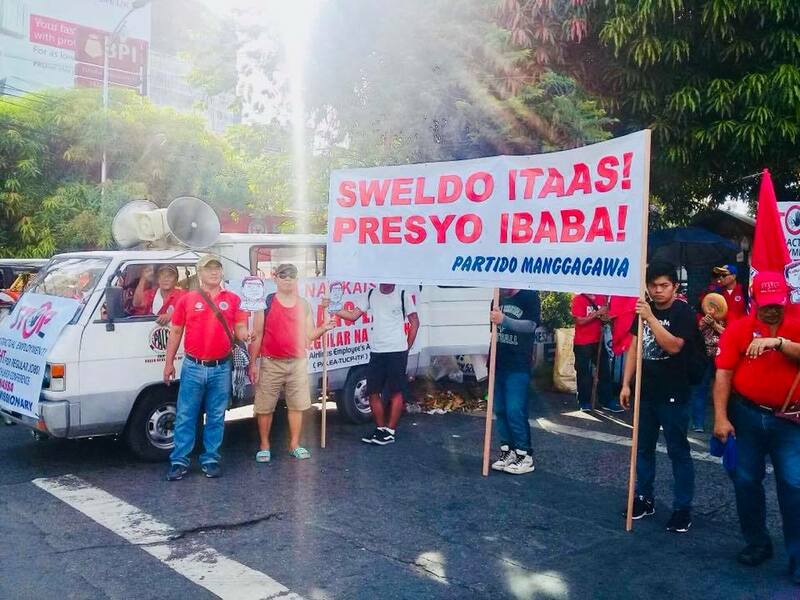 This effort will pave the way for the realization of PDigong’s promise to labor in their dialogue to end what he termed as “provincial rates” of worker’s wages. RA 6727 and its implementing rules and regulations sets the minimum wage rates by region through the establishment of regional wage boards and a criteria for the determination of the amount of wage increases. Left alone, the regional wage boards cannot satisfy the demand of workers for a substantial and uniform increase in the minimum wage as demanded by different labor groups. Historically, for almost three decades, the wage boards have granted minimum wage hikes that are less than PhP 1,000 per month. This is a far cry from what is needed today to augment the lives of low income workers gravely affected by the rising cost of living. The root of this cheap labor policy is that regional wage boards base their determination of minimum wage increases on employers’ capacity to pay instead on the prevailing cost of living and living wage. 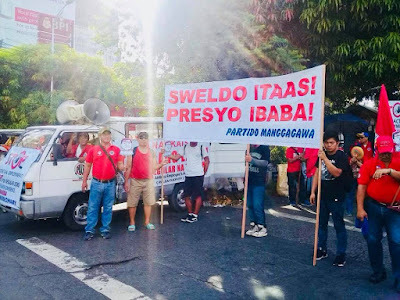 Meanwhile, aside from ordering the wage boards to motu proprio conduct public hearings, the President should clarify that they should base their determination for a minimum wage increase on the prevailing cost of living and living wage.